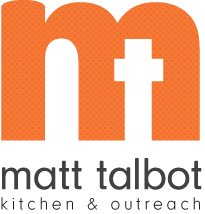 At Matt Talbot Kitchen & Outreach, we believe that defeating homelessness is possible. We are investing in the people and programs we need to help defeat homelessness. Now we are expanding our building to provide confidential space where our counselors and case managers can help homeless clients with a substance use evaluation or housing assessment. All of this year’s Give to Lincoln Day donations will go toward our building expansion. Every gift will receive a portion of the Lincoln Community Foundation’s match fund AND will be matched dollar-for-dollar by an anonymous donor who has pledged to match up to $250,000 in contributions to our building expansion. Although the building project is bricks and mortar, what we are really building is Matt Talbot’s capacity to save and transform lives. Our expanded substance abuse team is helping the homeless who struggle with addiction. Our Landlord Liaison Project makes renting to the homeless a win-win for the landlord and the tenant. Our First H.O.P.E. program uses a nationally proven model to house the chronically homeless and surround them with the support they need. We are dedicated to helping the homeless find possibilities when things seem impossible. Will you join us? •	If you prefer to give in person, you can give at the Lincoln Community Foundation, 215 Centennial Mall South, from 8 am to 5 pm on May 18. •	Checks can also be dropped off or mailed to Matt Talbot, and we will deliver them to the Lincoln Community Foundation by 5 pm on May 18. Please make your check payable to Lincoln Community Foundation and indicate “MTKO” in the memo line for your gift to count towards Give to Lincoln Day. Thank you for giving us BOLD HOPE!